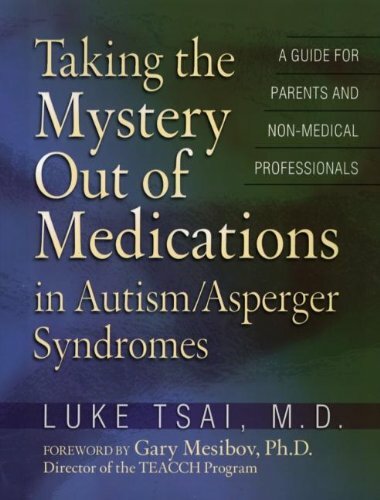 In this medication guide for parents and non-medical professional, Dr. Luke Tsai explains what medication therapy is, and shares the knowledge so informed choices can be made. Explains what different medications do in the body, their side effects, and how to properly assess the results. The term autism spectrum disorder (ASD) is used to cover the three subtypes of PDD since they share many clinical features & interventions, including medication therapy. An appendix provides sample medical forms, diagnostic tools, and a detailed glossary. Drug therapy. Psychotherapeutic medications. Book does not cover the assessment & diagnosis of ASD.